Hanging swings are often added to an outdoor porch or a favorite corner of a quiet room to create a comfortable retreat. If the swing is to be structurally stable, you must bolt the support fasteners into the ceiling rafters, and not just screw them into drywall or a wood ceiling. In come cases, if the roof rafter is old, you should reinforce it before adding the weight of a hanging swing. 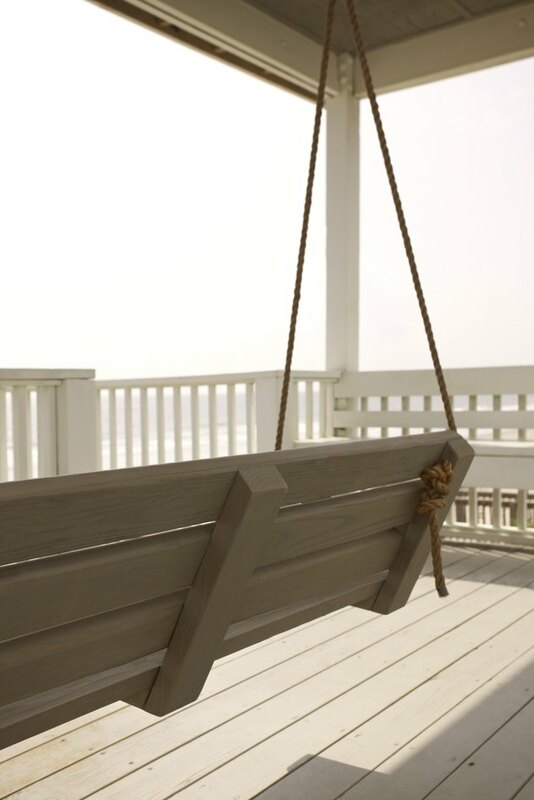 Porch swings should be mounted into ceiling rafters for safety and stability. Drill a small hole in the ceiling where the hanging swing will be installed. Poke the wire hanger into the hole so that it extends into the attic cavity. This wire will guide you to the proper spot in the attic in the next step. Enter the attic or crawl space, bringing the flashlight, drill, 2-by-6, C-clamps, measuring tape and 2 1/2-inch screws with you. Locate the wire inserted through the ceiling, and then locate the ceiling rafter that is closest to the spot. Clear the insulation away from the ceiling rafter, and place the short piece of 2-by-6 alongside the rafter. Clamp the two pieces of wood together using the C-clamps, and then screw the two pieces of wood together using the 2 1/2-inch screws. The piece of 2-by-6 you add to the rafter should lie flush with the ceiling and flush against the old rafter for maximum strength. Use a number of screws so that the strength of the additional 2-by-6 is added to the existing rafter. Before you leave the attic, measure the location of the reinforced rafter in relation to the guide wire you inserted into the attic. Use this measurement to locate the new rafter once you return to the room where the swing is installed. Make sure the lag screws for the swing are anchored firmly into the reinforced rafter as you install ceiling anchors for the swing. 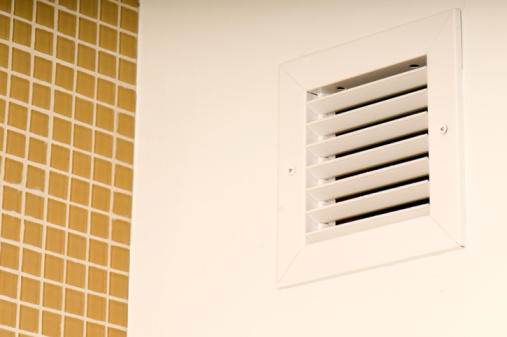 What Temperature Should an Attic Fan Be Set At?